Quartz is a hard crystalline mineral that can be engineered in a variety of ways. 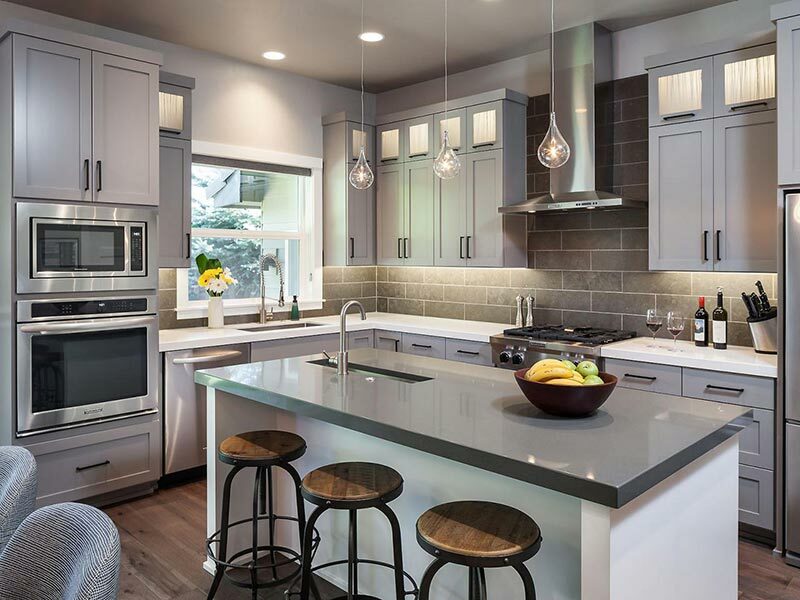 Because of this, quartz comes in an endless variety of colors and styles that make it ideal for anyone wanting a truly custom countertop in their home or office. One of the major reasons why quartz is such a popular choice is because of its natural luster. When light bounces off the surface of a quartz it projects a three dimensional look creating a stunning visual. If desired, quartz can have stone and glass incorporated for added aesthetics. Quartz countertops are extremely durable because they are dense and hard. The average mix of natural quartz and manmade material is 93% natural and 7% manmade. Part of the 7% of incorporated manmade material contains binding resins that are added to give the countertop a solid and durable composition. This addition prevents staining, cracking, and chipping.